India has been a front runner in the global generic market and has earned a strong reputation as a reliable provider of good quality, affordable treatment options for patients the world over. This one incident of quality and regulatory non-compliance by Ranbaxy has the potential of eroding the high credibility that the Indian pharma industry enjoys. Ranbaxy's failure to take immediate corrective action on the issue of non-compliance added to the gravity of the situation. This is indeed a big wake-up call for the entire Indian pharma industry for collectively working to protect our hard-earned reputation through demonstrated action rather than rhetoric. More worrisome is the threat of reputational damage it can cause to Indian pharma. The stakes are huge. India's pharmaceutical exports are poised to rise to about $20 billion by 2020. Indian generics account for a 30 per cent share of the US market. Chinese pharma companies experienced a serious fallout in 2008 when a US probe into deaths caused by Heparin used in dialysis patients was traced back to a contaminant in the active ingredient made in China. Currently, India not only produces more than 20 per cent of the world's generics, it is among the top 20 pharmaceutical-exporting countries. Indian drugs are exported to around 200 countries. We simply cannot afford to allow a dark cloud to loom over us. Exports have played a crucial role in the growth story of the Indian pharma industry, and the US is one of the biggest export markets for Indian generic drug makers. It is, therefore, imperative to ensure that we set standards of quality and compliance for both products and services that are on a par with the best in the world, in order to secure our long-term business prospects in the global markets. Indian pharma and biotech companies have put India on the global map, and their actions must ensure that this pride of place is kept intact. 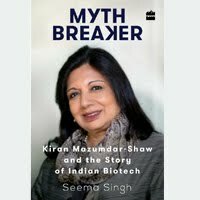 The industry needs to be responsible for the reputation of India as a responsible pharma partner. The Ranbaxy issue proves that an isolated case could undo the painstaking gains made in setting high quality standards in India, where we can rightfully boast of the highest number of Food and Drug Administration-approved plants outside the US. Quality is not the only issue at stake; we are in danger of losing our hard-earned standing in the West on the crucial issue of intellectual property (IP) protection. The Glivec ruling, a spate of compulsory licences of patented drugs issued to Indian companies and the recent patent infringement case over a diabetes drug, have made overseas pharma innovators wary of doing business in India. Indian pharma companies need to wake up to the fact that IP plays an important role in building a strong reputation. A loss of reputation means loss of market share - something we can ill afford in this hyper-competitive landscape. There are already rumblings within multinational pharma companies about rethinking their India strategy. India is now an insignificant market within their emerging markets portfolio, and if the present unfavourable situation continues, it is likely that India will drop off their radar. This would translate into a freeze on investments and, worse still, a moratorium on new drug introductions, which will only be to the detriment of Indian patients. Today, the global drug industry is struggling because of declining research and development productivity, blockbusters going off- patent, rising clinical development costs and shrinking profits. The regulatory environment has become increasingly difficult, and insurers and governments are challenged with rising healthcare costs. As affordability is now recognised as a critical factor to build sustainable models for healthcare in the context of ageing populations and the need for universal coverage, I believe it is a matter of time before new drug development will also see India take a greater share in drug innovation. India has already emerged as a preferred innovation partner for contract research and clinical development services for large pharma innovators, thanks to its competitive cost base and a strong scientific talent pool. But India runs the danger of turning the clock back by failing to plug loopholes in its patent protection rules. Equally, the moratorium on clinical trials threatens to devalue India's contract research organisation sector. We must remember that India has a unique opportunity to deliver "affordable innovation" to global markets by building excellence across the innovation chain from the lab to the market supported by a credible IP regime. Indian regulators also need to enhance their engagement with their US and European counterparts in building an acceptable regulatory path that delivers on affordable innovation. The world over, there is a need to create a smarter regulatory environment that fosters quick approvals to expedite the drug development cycle and bring down the cost of innovation. India can play a key role in enabling this process. Biocon has built its business on a strong foundation of innovation, integrity and quality. We understood early on that creating enduring value was about pursuing painstaking IP-led research and regulatory compliance was the only way to create enduring value. It is this approach that has earned us credibility as a reliable partner with global pharma companies. We cannot afford to sacrifice long-term value creation for short-term gains by compromising on quality, compliance and IP. It is, therefore, vital that India Inc shows its mettle and restores the reputational credibility of our pharma prowess.